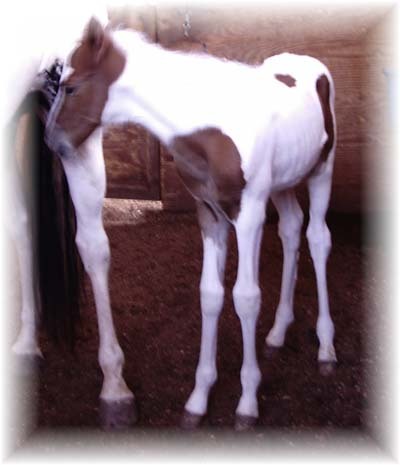 Apolo is a double resorte chestnut and white pinto stallion. 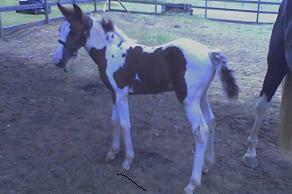 He has beautiful color and a very nice temperament. His babies are very easy to train and are great for the trail. 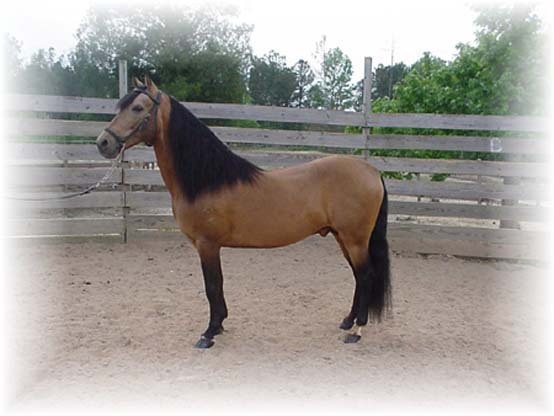 "Sparky" is a High Point Performance Stallion. His father is out of Juan Juan and his mother is a Capuchino daughter. He has been successfully shown in Classic Fino as well as performance. His brilliance and brio is exemplary of a Performance Stallion. He has proven himself in the showring earning his TOP and Legion of Merit. 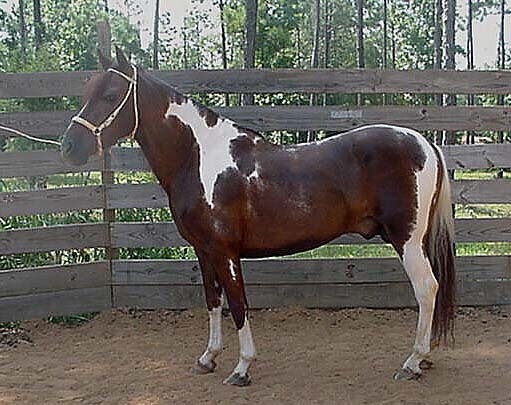 In 2002 he was #8 in the top 10 show horses of the USA-E Assocation. As a breeding stallion, he offers brio, conformation, color, and a wonderful disposition. He is a gentleman on the ground and exemplifies power, brio, and a willingness to work under saddle. He is throwing 90% Palominos and Buckskins if you are looking for color. He is passing on his powerful front end ,hocks, naturalness and tightness of gait, and his beautiful conformation. He has already had several of his offspring to win National High Point Awards and also National Championships. 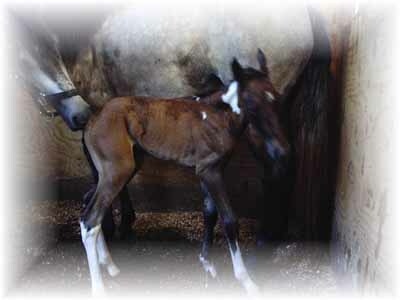 Sparky's foals are eligible for the National Breeder's Sweepstakes. Contact us to book your breeding for your next Show Champion! Sparky is standing at stud at La Pasion Paso Finos. His stud fee is $1,000 LFG.